Color Challenge: JUGS #102 | Work in Progress. Annnnd, I'm back :) Before I dive into this post, I want to take a minute to say a HUGE thank you for all the well-wishes during our big relocation process!!! The support was AMAZING - I can't tell you how much it means to me!! THANKS, friends!!! All in all, the process has been as painless as it could have been - our household stuff arrived via the movers 2 days after we landed; it was in really great shape too! That's definitely something to be thankful for :) We start work at our new jobs on Monday!!! Where has the time gone?! So I'm back in the swing of things! 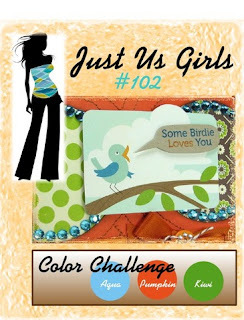 Right in time for a brand new color challenge over at Just Us Girls hosted by our AMAZING Elise! Such wonderful colors - they're just packed with crafty potential!!! I am so happy to report that my hubby and I are pretty much settled in our new home. It's a rental but it's perfect (I'll take a few pics a little later and share with you all :)). To make things even better, my craft room is all set up!!! YAY!!! Anywho, I am so glad to be back crafting! It was great being in a craft room - it felt a bit weird as things are moved around a bit from my previous place, but it was cosy and familiar at the same time. I can see many an hour spent will be spent in this lovely retreat! Hopefully I remembered to unpack my mojo!!! 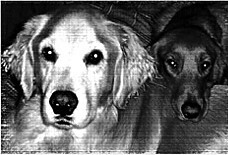 Back to my lovely JUGheads - make sure to see what the fabulous JUGS gals have for you this week!!! Posted in color challenge, green, JUGS DT, orange, turquoise . Bookmark the permalink. RSS feed for this post.